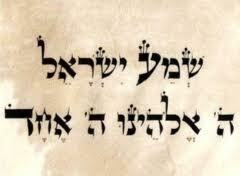 Sh’ma Yisrael Adonai Elohanu Adonai Echad. Even an assimilated, lip-synching Jew like my father knew those first six words of Judaism’s central prayer—a prayer tucked into Jewish liturgy morning, noon, and night. Words that are emblazoned on the Jewish psyche. The prayer of prayers, that’s the Sh’ma. It’s the prayer that turns the tables on the petitioner by asking her to stop and to listen—to stop and to hear. It’s the prayer I said as a child every night before I went to sleep. It’s the prayer that was always punctuated with my mother’s breathless “amen.” My father, on the other hand, stood at his usual spot by my door doing exactly as the prayer asked. He listened. He heard. Saying the Sh’ma during the day becomes a cry, a plea from God to listen, but I’ve said the Sh’ma so many times in my life when I meant: Listen. To me. God. There is no one else to turn to. And I, in turn, at different stages in my life, have strained to hear God’s still, small voice. But in the end, I know that I have God’s ear, even as God remains silent. Silence is God’s voice, just as water is God’s color. When I recited the Sh’ma each night, the six short words cleared space and reined in time. The Sh’ma created a spotlight of comforting silence. It was the spotlight of the hall light that my parents left on, illuminating a path to the bathroom or their room. I implored God, with all of my heart and soul, for someone to stop and hear me. I also bargained with God for joy and gladness. What if I promised to stop flushing my vitamins down the toilet or to cease hitting my sister in the middle of the night because she was asleep and I wasn’t? Would God give me the sweet silence of a family listening to the television or riding contentedly in the car? Would God finally send quiet and its silent partner, peace, to my unhappy family? The Sh’ma has always been a prayer of the night for me—a time when strictly defined identities blurred into dreams or nightmares. Yet, at night, identities can also be blurred into something softer, sweeter. At night, my strict, seat belt-wearing, MacArthur-sunglassed father would often stand vigil at the foot of my bed, looking out the window, presumably to keep track of the weather. But, really, he was there to listen, to monitor my asthma. My father came to my room like an explorer—flashlight in one hand, a pitcher of water in the other. He’d fill up the vaporizer to steam me back to health. When my ragged breathing eventually calmed down, my father hummed his preferred liturgy—Viennese waltzes and Gilbert and Sullivan operettas. Listen. Hear. Understand my soul, he telegraphed with his music. For me to breathe normally was to hear his favorite tunes, to be lulled by them. Listening to him was a crystalline, multi-faceted moment when I was in synch with him. My silent recitation of the Sh’ma spun around us like the delicate yet strong silk of a spider’s web. I thought I had outgrown the Sh’ma as a teenager. I fell asleep to Top 40 crackling from an AM transistor radio I hid under my pillow. I swapped prayer for Sylvia Plath and Emily Dickinson. At night, I was the ghost of Cathy from Wuthering Heights, pretending to scratch at my bedroom window, asking for God to listen to me. I stopped listening for God. When I finally had my own children, I took out the Sh’ma like a favorite childhood blanket. I’d calm my squirming, crying children with the shhh of Sh’ma. That shushing also soothed me into believing that God was listening again, that God was hearing my prayers again. The Sh’ma was a call around which every other prayer and wish rallied. A prayer beyond words. The Sh’ma announced God’s presence to me. The Sh’ma was the first movement of a Symphony of Silence. It was movement towards God’s embrace. I have heard snippets of that symphony throughout my life. I heard it when I fell in love with my future husband. I heard it when the heads of my children crowned inside of me. I heard it in jarring moments during my father’s long, slow death. Every one of his incremental declines was like the short steep falls from which I would awake just before I hit the ground. I yearn again and again for a primal connection to God. The older I am, the more I realize that establishing a connection to the divine is surprisingly prosaic. Prayer takes practice, and practice is repetition to which we always say “amen.” In Hebrew, the word for practice shares the same root as the word for amen—both of them reach back to the Hebrew word for faith—emunah. I like this mingling of the work-a-day and the divine. It feels very real to me. When my father died, and I said the Kaddish, the mourner’s prayer, every evening for a year, I said the Sh’ma along with it. Once again, I was a child; the Sh’ma was a touchstone in a dark, bewildering night, and God was listening. The first rule is to never let the kid see you sweat. When your kid is smarter than you are (and aren’t all kids smarter than their parents), perfect your comeback. This is critical. Think of it as a one-size-fits-all response, although in reality your retort will be more like one-size-almost-fits-all. Mine is: “Save it for the Supreme Court.” My children often run concentric circles around me in an argument. I never succumb to temptation and tell them “Because I’m the mother.” This is lame—you know it, and your kid knows it. Bribery works; I’m not above it and neither should you be. It has circumvented many stalled arguments in my house. Just about anything is bribable with younger kids. Finishing all your peas, successfully going to the potty, staying in bed until a parent is ready to wake up. Promise him a toy, a movie, a playdate at Chuck E. Cheese. I think it’s a fair tradeoff for a bit of peace and quiet. Older kids are trickier and more expensive to bribe. But for your kid, who is almost certainly smarter than you are, bribery might be the way to go before her logic exhausts you. Yes, that shirt at Urban Outfitters can be yours. There are exclusions: no electronics or personal digital assistants. Does your 15 year-old really need an iPhone? Is he expecting breaking news from his stockbroker? 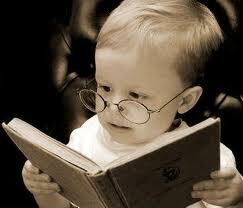 The kid who is smarter than you are can jump and twist through loopholes like a gymnast. And don’t be surprised when your kid finds these loopholes in your arguments quicker than a tax accountant. Be prepared to plug those holes even if you have to be irrational. But don’t threaten to lock your kid in his room until he’s 35. Hyperbole makes you look foolish. Remember you’re the parent and you have the final word, but don’t tell that to your kid. Homework is a convoluted problem in our house. My children do it, but sometimes the distractions of YouTube and Facebook extend doing homework into the wee hours of the morning. When I threaten to take away the computer, Adam will gleefully tell me that he can’t do homework without access to the Internet. I grudgingly admit that this is partially true since assignments are posted on-line. And yet just when I think I’ve cornered him—can’t you make note of your assignments and then work off-line—he’ll walk right through a gaping loophole and mutter something about teachers posting work at different times. He makes it sound as if his teachers are living in different time zones. Under no circumstances should you say, “I’m not made of money” or “I don’t have a money tree in the backyard.” Your smarter-than-you-are kid will point out simple biology. People are composed of flesh and blood and cells and DNA. Trees only bear fruit, silly Daddy. And whatever you do, don’t spell. It doesn’t matter how young the child is. Somewhere along the line, this child who is so much smarter than you are, learned to spell while you were distracted. If speaking in a foreign language is an option for you, don’t assume your kid won’t understand—especially if your smart kid is learning that language in school. Unless it’s your first language, when your kid asks you how to say words like “engulfed” or “mission accomplished,” you probably don’t know. Take me as an example. I speak a kitchen Spanish and I read the language at a fourth or fifth grade level. Your very smart kid knows this when he asks you to help him translate a Borges story. After all, it’s fun for them to see you squirm in a language that was once your secret code. When you tell your very smart daughter that to be treated like an adult she must act like an adult, she’ll say something like she can legally buy cigarettes and a lottery ticket. Refrain from telling her that in the old country she would have been running a farm and pregnant with her second child at her age. You’ll look and sound ridiculous. (Remember hyperbole always backfires with the smarter-than-you-are kid). Don’t lie to your child about your checkered past. Since this is a family paper, suffice it to say your kid knows you had boyfriends or girlfriends and that you may have tried cigarettes in the past. Simply tell the child that you are happily married or more mature and that you are a former smoker. All you can do is pray that your kid doesn’t repeat your folly by justifying that if you did that stuff so can she. Please note again that retorts rarely work so don’t make a sweeping statement like “Someday you’ll understand when you’re a parent.” Kids can’t see that far ahead. You’re smart enough to know that. And you’re smart enough to know that your very smart kid is just that—a child or a young adult casting about for experience. Remember that, please, because you’re the parent and you have to. The piece was a clarion call to parents to closely assess the accuracy of a child’s Attention Deficit Disorder (ADD) or Attention Deficit Hyperactivity Disorder (ADHD) diagnosis. Hruska outlined her own son’s tumultuous journey when he was misdiagnosed with ADD at the age of 8. Two years later, Hruska and her son decided that the treatment was not only unnecessary, but had also been unwarranted. 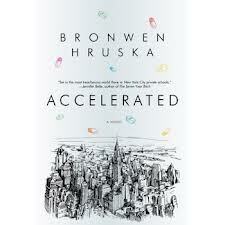 Hruska, the publisher of SoHo Press, recently published her first novel, “Accelerated,” through Pegasus Publishers. Part thriller and part social commentary, “Accelerated” is a brilliant, complex story about the consequences of over-diagnosing children with ADD and ADHD. Q: There have been a number of articles, including your own, written about ADD and ADHD. Why do you think there’s an increase in interest? “Accelerated” examines the consequences of over-diagnosing children with ADD and ADHD. As medicating kids becomes more and more common, so does the general sentiment that if your child isn’t on medication, he or she is at a disadvantage. It’s the same mentality that created the phenomenon of “juicing” in athletics. We’re ratcheting up the level of competition in school with performanceenhancing drugs. Q: “Accelerated” is told from a dad’s point of view. Would it have been a different book if the protagonist had been a single mother? Q: Third grade seems to be the time kids (especially boys like fictional Toby and your own son) are diagnosed with ADD. Why the zealousness? Is it warranted? A: Schools tend to crank up the scrutiny in 3rd grade. As a parent, I was grateful that teachers were paying attention, making sure nothing fell through the cracks. But in their zealousness I worry that teachers are so determined to find something, anything, that they often err on the side of overkill. Don’t forget, 3rd grade is also the time when children are expected to sit still for longer periods of time, transition quietly between classes and cut the silliness. And the truth of the matter is that some children (especially boys) at 8, 9 and 10, who are perfectly within the developmental norm, still find this challenging. It’s important to understand that Attention Deficit has become the go-to diagnosis. Sanford Newmark wrote in The Wall Street Journal this fall that many doctors making the diagnoses aren’t distinguishing between normal developmental immaturity and ADHD. These misdiagnoses could account for as many as 20 percent of the current ADHD diagnoses in the U.S., or about 900,000 children. That said, for kids who do suffer from Attention Deficit, medication could truly turn things around for them. One adult, who was diagnosed late in life, told me that as soon as he took that first pill, the white noise in his head (a noise he’d never even noticed) turned off and he was finally able to complete projects he started, including reading books. It changed his whole life, and he wished he’d been diagnosed as a child. My worry is that kids who are simply not ready for the expectations of accelerated curricula are being diagnosed with a disorder. The flipside, of course, is that in poorly funded regions, children are being medicated so they can succeed within a broken school system with too few teachers. 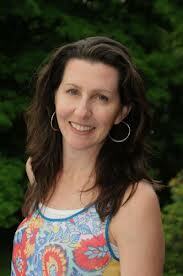 Q: I read that boys are being treated like “defective girls” with regard to diagnosing ADD and ADHD. Do you think this has some validity or is it just an inflammatory statement? A: Just look at the statistics. Boys are 2.8 times more likely to be diagnosed with ADHD than girls. If 13.2 percent of all boys have been diagnosed with the disorder (as opposed to 5.6 percent of girls), I’d say that we need to determine what the barometer for “normal” is. In “The War Against Boys,” Christina Hoff Sommers looks at how the education system was overhauled in the wake of Carol Gilligan to accommodate the specific learning styles of girls and as a result has left boys in the dirt. I think that schools now do value traits that are more traditionally female, and leave little room for the very normal (and different) developmental style of boys. Q: Medication doesn’t carry as much of a stigma as it used to. Are we changing the way children develop with so many ADD and ADHD diagnoses? A: I want to be careful because, again, I believe that for kids who do suffer from ADD and ADHD, medication can actually help them to develop on a level playing field with kids who don’t suffer from it. But when so many kids are taking medication to enhance their academic performance, it really does send a powerful message to an entire generation. We’re teaching our kids that challenges should be met and problems solved by swallowing a pill. Too often, due to extreme pressure from an accelerated society that demands everything be better, faster and more impressive, kids aren’t being allowed to do the hard work of growing up, getting organized and learning what’s expected of them. Also, if a young child is put on medication and it’s deemed to be “working,” parents are loathe to take them off of it, and as a result will never know whether their child has “outgrown” the attention issues. Instead, dosages continue to be raised as the child grows, and soon kids are selling their prescription medication as study drugs in college where Ritalin and Adderall and other focus drugs are as commonly used the way No Doze was used when I was in college. 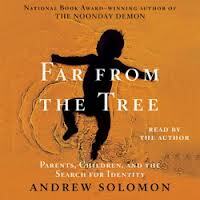 Q: How does your novel help parents grappling with the decision to give their kids Ritalin or even to seek out help? A: The reason I started the novel was to explore the impossible position in which so many parents find themselves – deciding whether or not to medicate. When my son’s 3rd-grade teacher suggested we get him evaluated, it was a no-brainer. Of course, I wanted to catch anything that might be an issue. Of course, I’d trust the school if they thought there was a problem, and I’d trust the doctor who did the evaluation. But there’s a moment when, as a parent, you’re torn between your gut and the experts. There is both too little information out there and too much (if you’re looking on the Internet). You don’t know who or what to trust, and parents aren’t talking about it. There’s this feeling of being alone at sea – you feel like your child is the only one going through this. As I started researching the topic for my novel, I realized that there were approximately 10.5 million parents having to make this very same decision. I thought it was crazy that no one was talking about it, sharing information, anecdotes, research. Simply knowing how many kids were getting this diagnosis made me think about my son’s diagnoses differently. I’m hoping that parents read “Accelerated” and continue the dialogue. Whether they like what it has to say or hate it, I want people to tell each other their stories. Just talk. It’s a powerful thing. I watch you carry on with your dream of going to medical school and I’m already worried about the work-life balance issues you will inevitably face. Having a profession will present you with a unique set of challenges that men don’t encounter. We are socialized to be the family’s primary caregiver; men are ingrained to be the breadwinner. It’s changing, but it’s changing too slowly. Maybe I’ve come late to the party, but a book by local author Michelle Cove and an article by law professor Anne-Marie Slaughter have me reaching deeply into my own life. Let me start by saying that I want more for you. It’s not that I don’t have enough or I haven’t made a successful go of my writing career. But my earnings don’t reflect the hours and the keen effort that I put into my work. While that’s been a source of frustration for me, on the flipside I have control over my schedule. I can run an errand or stay home with a sick kid. But if I do that, you can be sure that I’m working after dinner to make up the time. Anna, I think the generation between us is dealing more realistically with the work-life balance than my peers or I have. Slaughter quotes a pair of 30 year-old women who realize the importance of linking together every aspect of their lives. I quote them through Slaughter because I want you to hear their bluntness. If we didn’t start to learn how to integrate our personal, social, and professional lives, we were about five years away from morphing into the angry woman on the other side of the mahogany desk who questions her staff’s work ethic after standard 12-hour workdays, before heading home to eat moo shoo pork in her lonely apartment. This scenario begs a question you’ll have to grapple with someday—“finding the right sequence of family and career.” When do you marry? When do you have a baby? Slaughter and Cove agree that there is no definitive answer. I have faith that your generation will finally tease apart the false morality and promises of “family values.” That by speaking up about implementing family-friendly policies in this country and acknowledging the importance of work-life balance, you and other women will close in on the “leadership gap” in the White House, the corridors of multinationals and yes, even the home. As for me, I’m starting to understand my choices as part of “the new gender gap”—that is, measuring my success by my wellbeing rather than a paycheck. Maybe I’m not too late to take advice myself. In fact, I think I read Anne-Marie Slaughter’s article and Michelle Cove’s new book just in the nick of time.